Finally a long over due addition to my blog. It has been a busy, crazy, wonderful year. We've added a member to our family and have seen our youngest child get her first job in the animation field and move to England. I have also taught a lot of classes! I've taught at more than twenty different events and and have realized that it is just too many in a years' time. I love teaching and will continue to do so as long as I can, but at a more realistic rate. I have eleven events scheduled for 2019 and hope to get that down to 8 to 10 in the future. 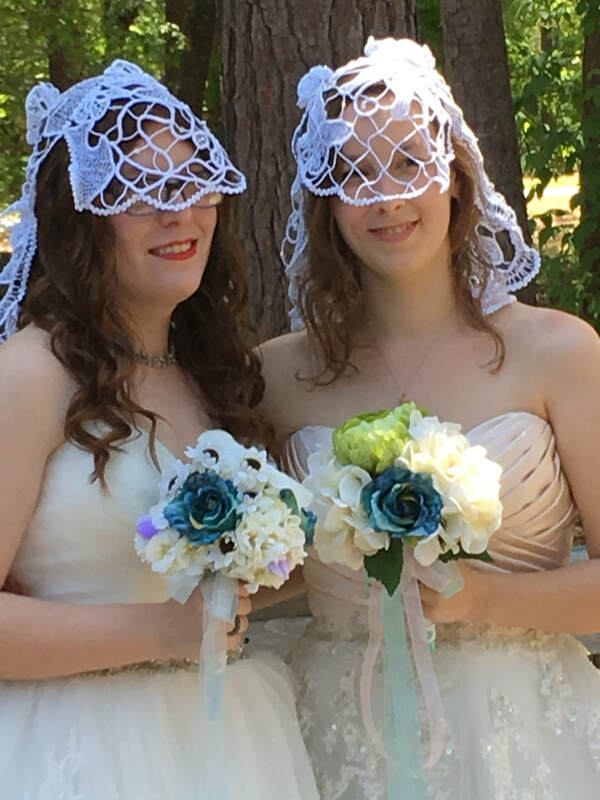 I am sure my daughters will be keeping me busy in the future with more weddings and if I am fortunate, grandchildren. I want to make sure I have lots of time for them, as well as my wonderful husband. I'm also looking forward to more designing time. My design time really suffered this last year. 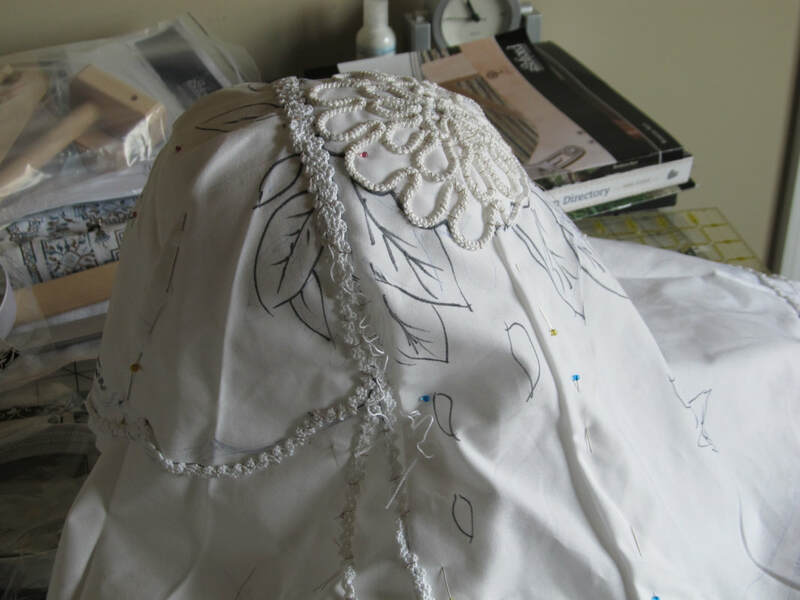 I need to get some of the ideas that are rattling around in my head down on paper and translated into fabric and thread. My class offering are getting a little thin is some areas, too. I have a large stock of Cottage Garden Threads ready to add to my web site. As soon as I get this inventory thing figured out, they will be up. I do love these threads. They are such beautiful colors and wear really well. Yes, the day finally came. 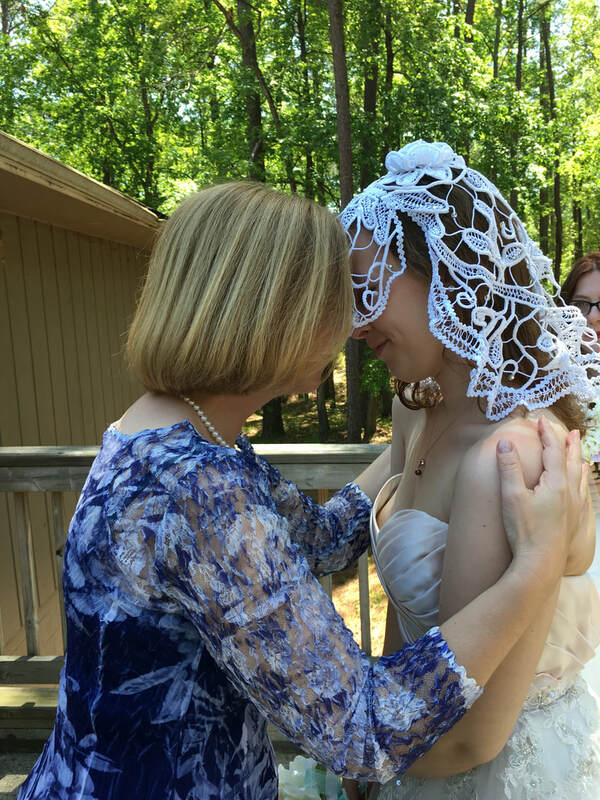 It was incredibly beautiful and I am so blessed to have Rachel and Ashley and part of my life and part of our family. The girls were so lovely and we had a gorgeous bright, sunny day. 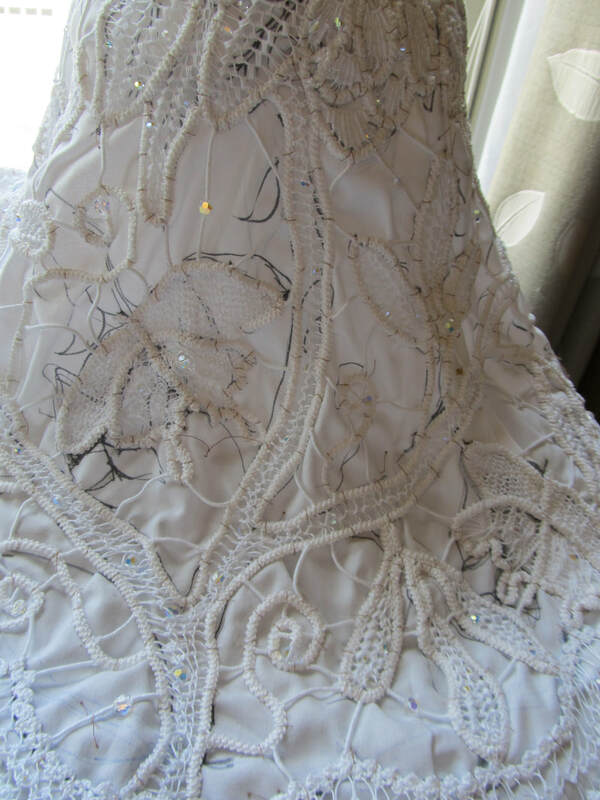 The veils and dresses sparkles in the sun. They asked me to sing the processional and to be honest I had to sing the final verse with my eyes shut. If I had opened them and looked at my lovely daughters and daughter in law the tears would have flowed which is not good for singing! My life is finally getting back to normal and I have done some much needed updates to the teaching information page. The seminar season is coming up and I'll be traveling a lot in the next few months! February was a busy month for me. I taught a class for the lovely ladies of the Magnolia EGA chapter in Charleston. They were a lot of fun and Leslie was a gracious hostess. And she gave me chocolate. What more do you need. I also attended Hardanger University in Myrtle Beach as a student. It is such a good thing for teachers to become students again. 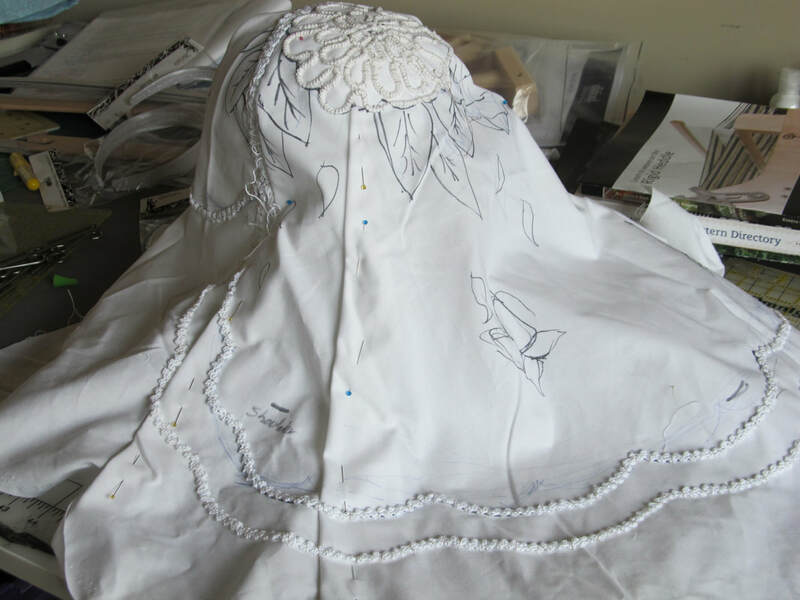 I learn so much, not just about stitching, but also about becoming a better teacher. Great fun and a great retreat! My youngest daughter Heather flew down from Cold and snowy Minnesota and we met up with my oldest daughter Sylvia. We spent the weekend in Savannah having fun, shopping, and most importantly getting their bridesmaids dresses for Rachel's wedding. I have my dress as well now. A few more things ticked off the list. The last two weeks have not been as much fun. 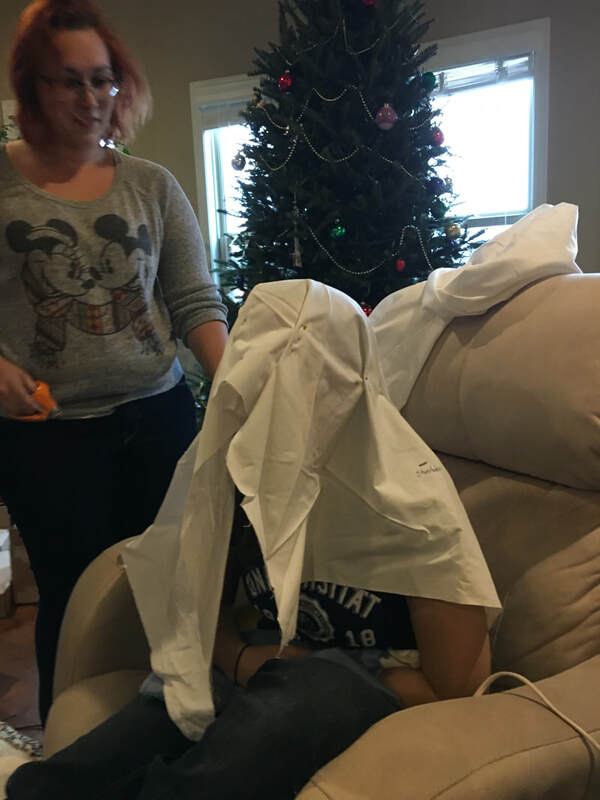 I caught a nasty cold and spent quite a bit of time in my recliner working my way through several boxes of facial tissues. Bleah. 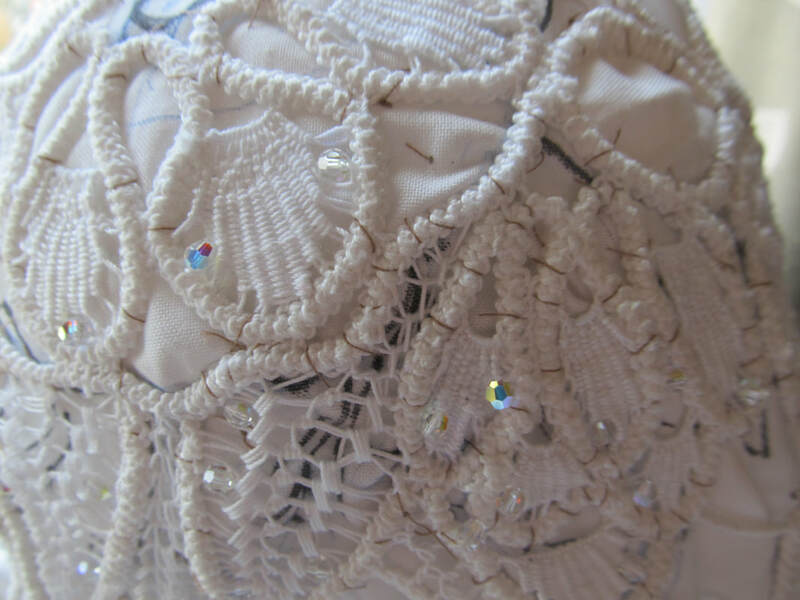 I am finally feeling better and am stitching away madly on the veils. Which is what you all want to see anyway, right? They are going well. I am needleweaving on Rachel's. I'm not quite there on Ash's yet as I ran out of cord and had to crochet more. I have that done and am now doing the last of the basting on hers. I've made quite a bit of progress and will add several photos below. It has been a lot more difficult keeping my tension even working on these rounded forms. 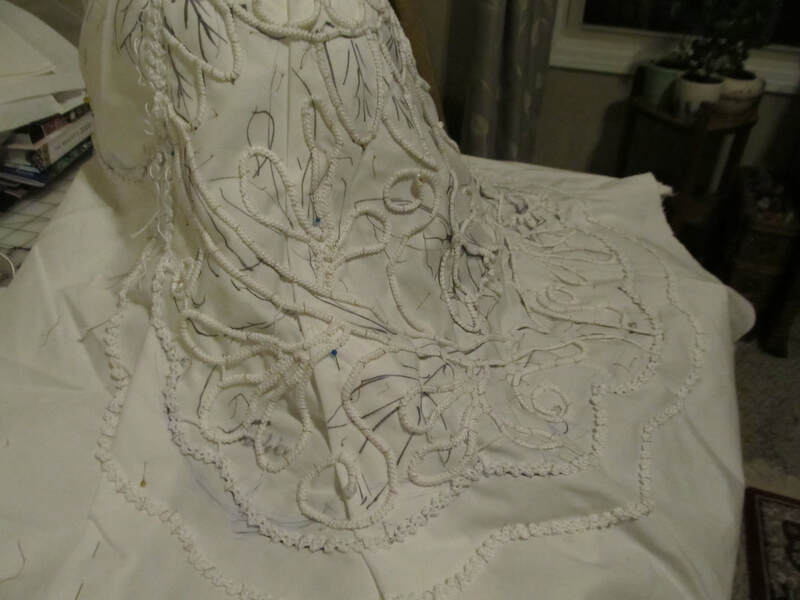 I've discovered how important it is to have the muslin pattern drum tight on stretcher bars. I will never complain about stretching again! Until next time, enjoy the photos and spring! This is a quick update before we travel to visit Sylvia. The veils are coming along well. I have Rachel's basted and am working on all of those wrapped connecting bars. Working on a rounded three dimensional project has it's challenges. I'm used to point lace being stretched taunt while basting. 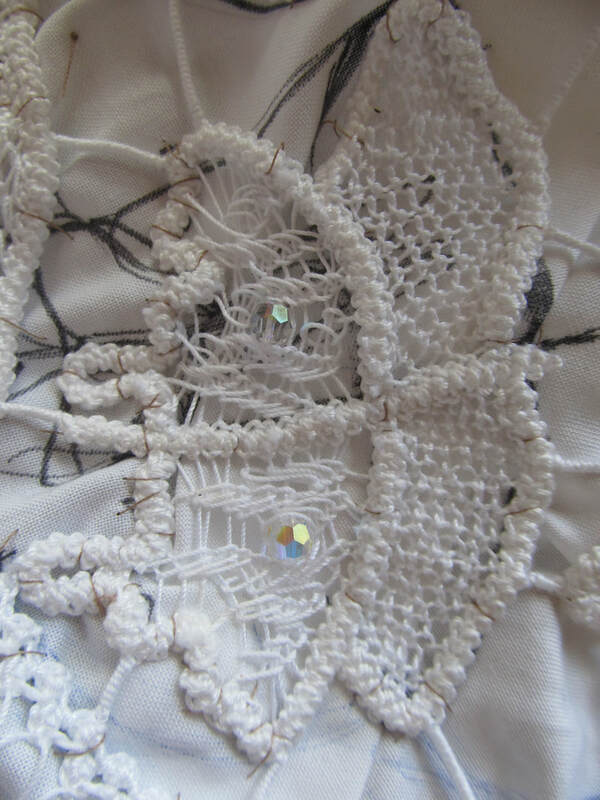 This is free hanging, but then the finished piece does not have to lay flat. Interestingly, I've found that because of this I am stitching with both hands. I'll be going along with my left hand, then switch over to my right when the directions change and back again sometimes every other stitch. There are advantages to being fairly ambidextrous. The next update will be in a few weeks. I won't be working on the veils at all while on vacation. I'm going to enjoy Florida weather after the recent cold snap and snowfall in South Carolina. Here's the first veil update. 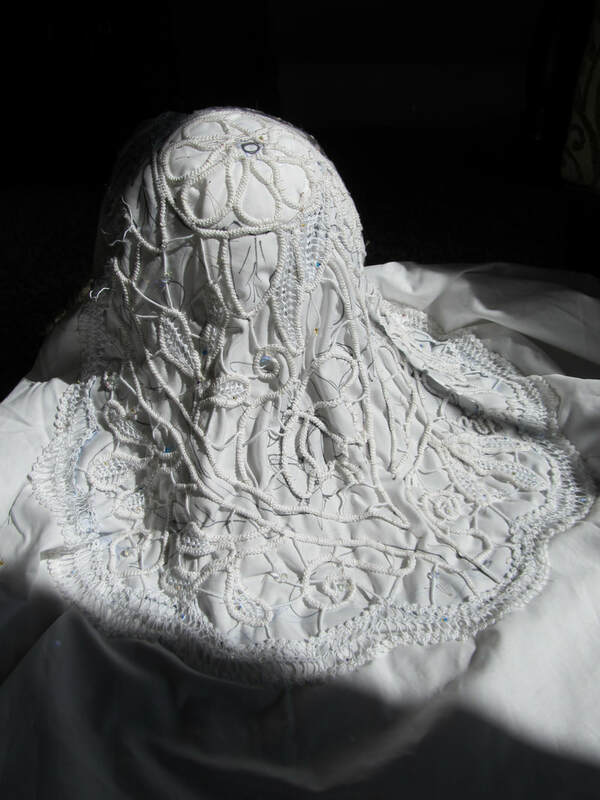 The biggest news is that I am doing two veils. One for Rachel and another for her fiancee Ashley. The challenge will be making sure they coordinate without getting too matchie matchie. Rachel has asked for peonies and swallowtail butterflies, and Ash wants water lillies and dragonflies. That should work! 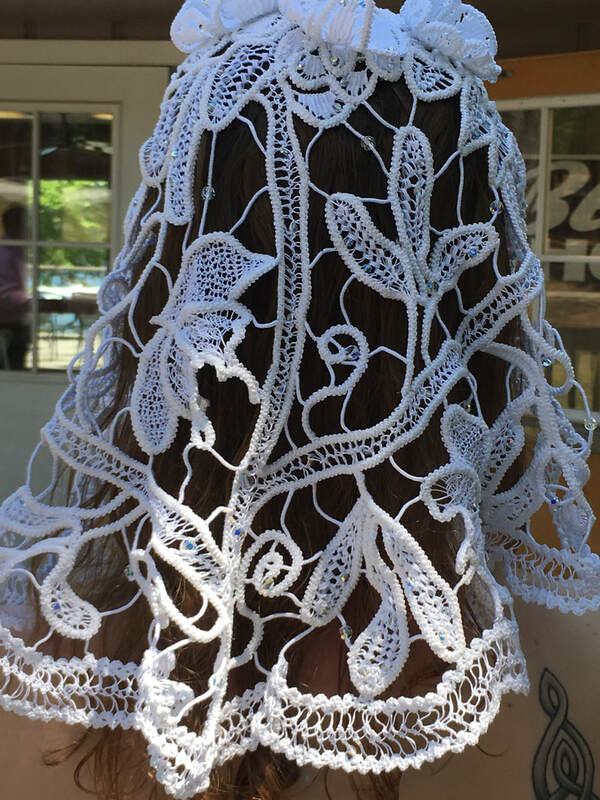 I've begun basting the cord down on Rachel's veil. 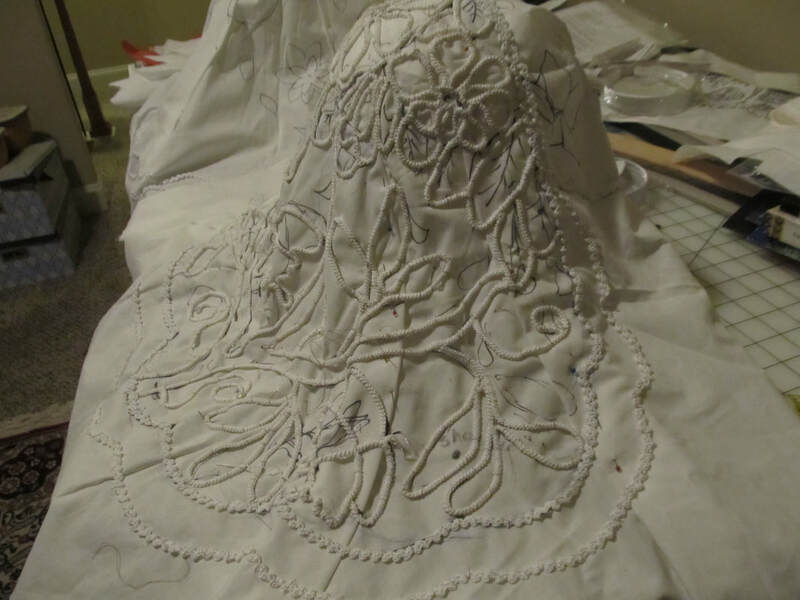 It's much trickier basting it on a curved, draping piece of fabric instead of the nice taunt, flat muslin I am used to. Sylvia drew out the flowers and I'm using that as a guide for basting. For a dyed in the wool counted thread enthusiast this free wheeling stuff is a big stretch! 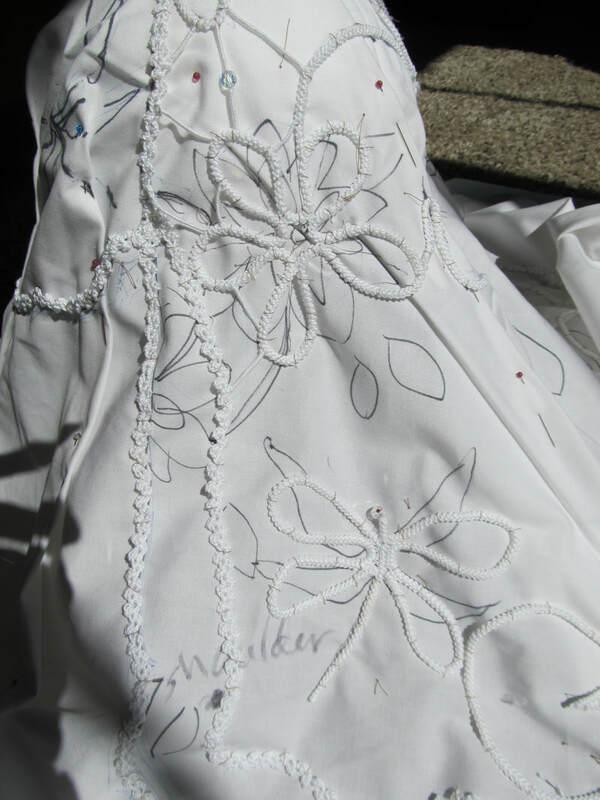 In the photos you see the muslin with Sylvia's sketching in black marker and the cord I've basted. So far I'm happy with it, though it's hard to see what it will become at this point in photographs. I can't send you what I am seeing in my mind! I do have to crochet some more cord which will give me something to do during these chilly afternoons. Stay warm out there. Unless you are in the Southern Hemisphere. You stay cool! 2018 will be a big year for us. 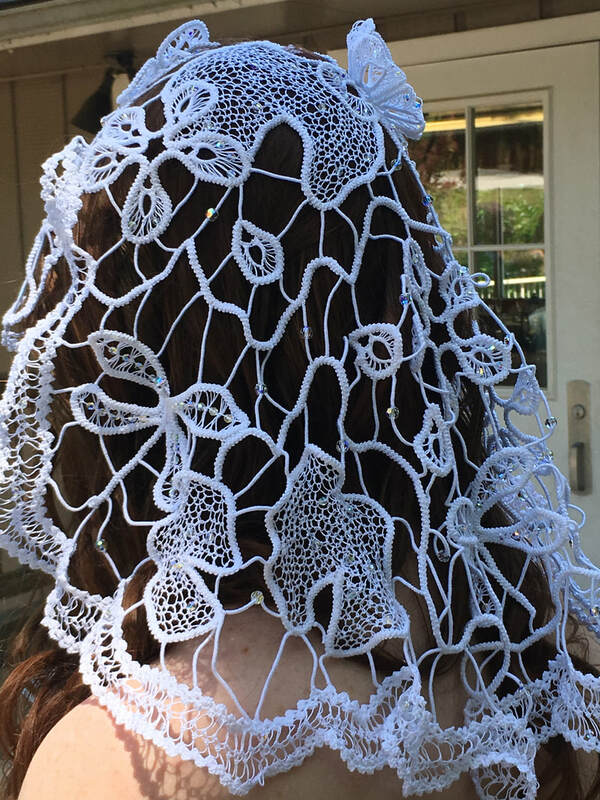 One of my daughters is getting married and I am making her veil with Romanian Point Lace. It's not my strongest technique, but she loves it so I will do it. I've crocheted a bunch of cord already and my oldest daughter helped me sketch out the design over Christmas. It pays to have a child who is a professional artist. 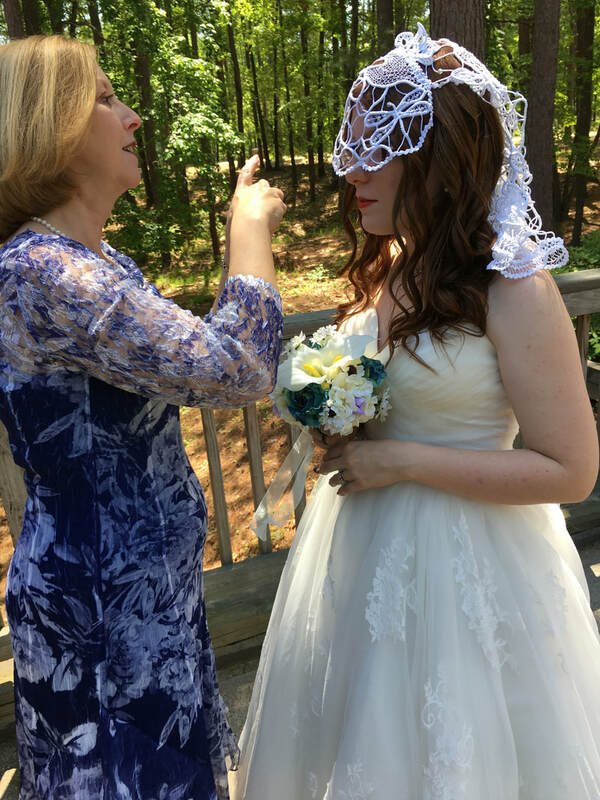 The most fun was draping and pinning muslin over Rachel's head to get the veil to fit correctly. 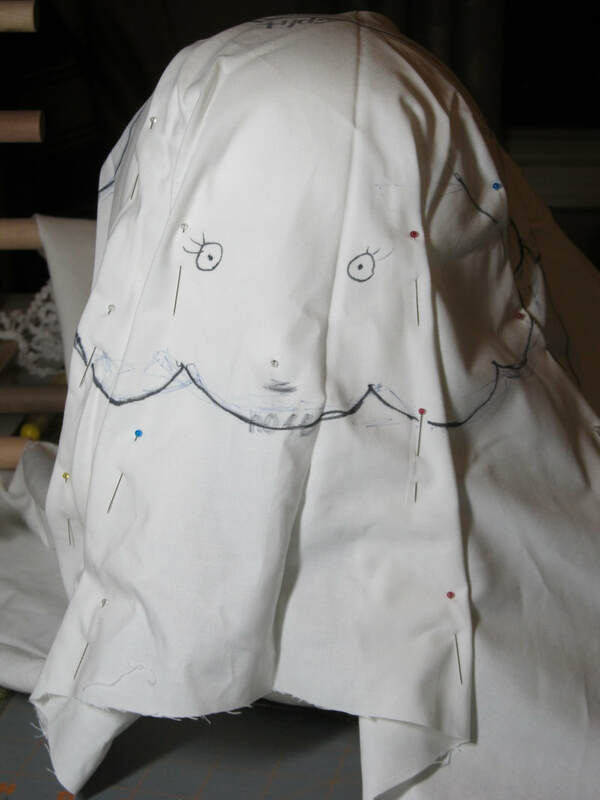 (Photo below) Sylvia not only sketched out the designs but also put a creepy little face on the muslin for me. 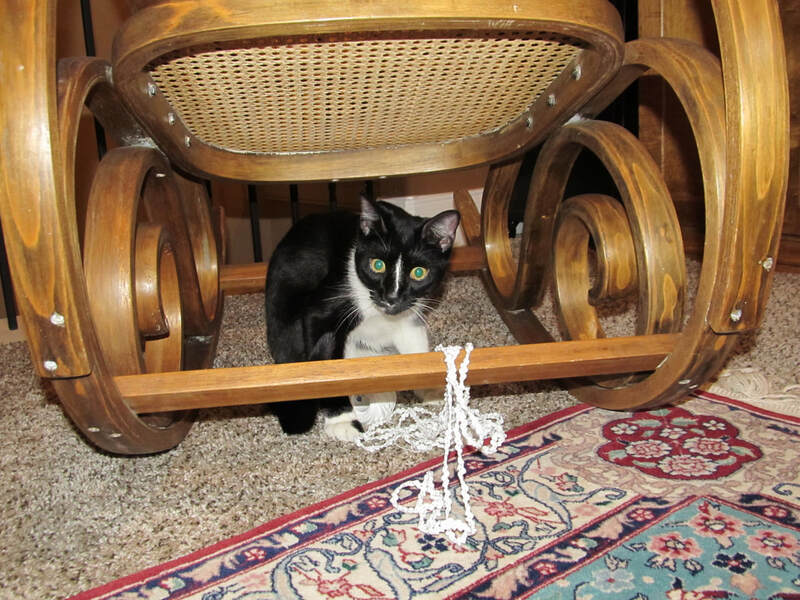 Her kitten Bean helped by grabbing the cord and running off with it. Thank goodness he went back home with Sylvia. He's a lot of fun when opening presents, but way too much help with my stitching! I'm going to post progress reports and photos here. I hope you enjoy the process and I really hope it turns out as beautiful as it is in my mind! I've also updated the teaching information page - finally - with all of the events I can list so far for 2018. There are a few others, but I am not allowed to reveal them yet. It has been a whirlwind spring here with my oldest daughter receiving her Master's Degree and moving to Orlando, and the youngest receiving her Batchelor's and moving back up to Minnesota. For now. The middle daughter may be moving in the next few months, too. Maybe even closer to me which I would love. I've been traveling a lot to teach and loving every minute of it. Several new designs have been completed and will be introduced as soon as they are booked into classes. 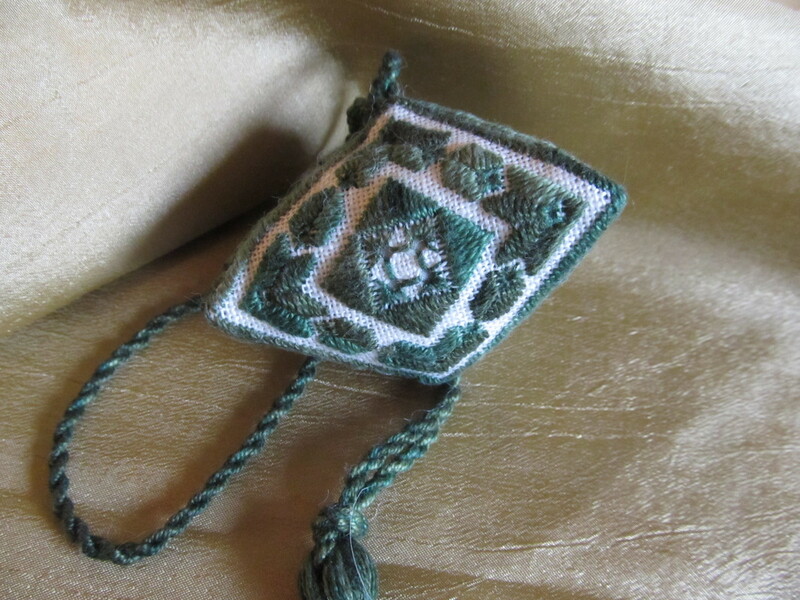 I also will be publishing the Hardanger Lotus Box for retail sale soon. It's been a class up until this last year and will soon be available in stores. Just need to proof read it a few more times. I'm finally updating my teaching schedule. If you've read it before you may notice that a few classes have been removed while others have been added. Hardanger University for 2017 has been cancelled and I will not be teaching when they resume in 2018. Calloway Gardens has also been cancelled for 2018. They lost their venue and had to discontinue the event. I have added a workshop for the Valley Junction Chapter in Iowa and continue to hold classes at Pandas Crossing in Mauldin, SC on a regular basis. The next one is on February 25th and is an ornament. (Picture below) We were going to do this before Christmas, but after a few hiccups we ended up with February. This way everyone will be able to finish it before Christmas! I've booked several seminars and classes for 2018 already. I'll put up the EGA seminars after they have has a chance to do their own presentations. I will be teaching at NAN in March and may also have a class in Indiana in October of 2018. Things are brewing all on the time. You may also notice that I don't have any classes in October or November of this year. That is because my husband and I are celebrating our 30th wedding anniversary with a trip to Australia and New Zealand. I can't wait! Any Aussies or Kiwis out there want to get together? I can't do needlework the entire time. I do have to spend some time with the love of my life! Thirty years is quite an achievement! Merry Christmas! I hope you all have a wonderful holiday season. I am happily curled up on my comfy couch with two of my three daughters, enjoying some Christmas television shows. We will be attending the Christmas Eve service at our church tonight and I will be singing in the choir along with my oldest daughter. The third daughter arrives tomorrow and we will be complete! I am expecially happy to be celebrating this year. I began a severe diverticulitis flare at the beginning of September. It was under control, but just barely. It never truly went away and I was having trouble with hemorraging. So, on November 21st I underwent surgery to remove the sigmoind portion of my large intestine. The surgery was rough and the recovery hs been the usual two steps forward and one step back process. I am feeling much better overall, and my diverticulitis issues are completely gone. Guess why I have not posted a lot lately. On to the future....2017 is just about as fully booked with classes and seminars as it can be. I'm now booking into 2018. How marvelouts is that? I already have two EGA regional seminars booked. I'm not going to steal their thunder and say which ones yet. I'm also going to be teaching at NAN in March of 2018. I've decided to retire the Hardanger Lotus Box from the teaching rota and publish it. It wll take me a few weeks to revamp that chart from prework and class portions into a front to back chart. I hope to have it out in a month or two. Hardanger U will not be happening in 2017. There are a lot of reasons for this decision and it is the best decision we could have made. We are going ahead with plans for 2018 and will most likely return to Myrtle Beach! Janice is looking to mave the date back to earlier February as well. You have spoken and she is listening!